World class hydrothermal quartz deposit that offer production of high purity quartz products with the highest quality. An independent preliminary evaluation (“Scoping Study”) has been carried out by Dorfner Anzaplan for the Quartz Project. It covers a review of previous work and studies (e.g. exploration, geology, deposit size, processing etc. ), propose a mining and processing method for the quartz and gives a preliminary economic analysis for the project. The Scoping Study gives principal recommendations and describes various risk factors to be considered in the project development going forward. The Scoping Study estimates a preliminary after tax NPV for the quartz deposit of USD 60 million. 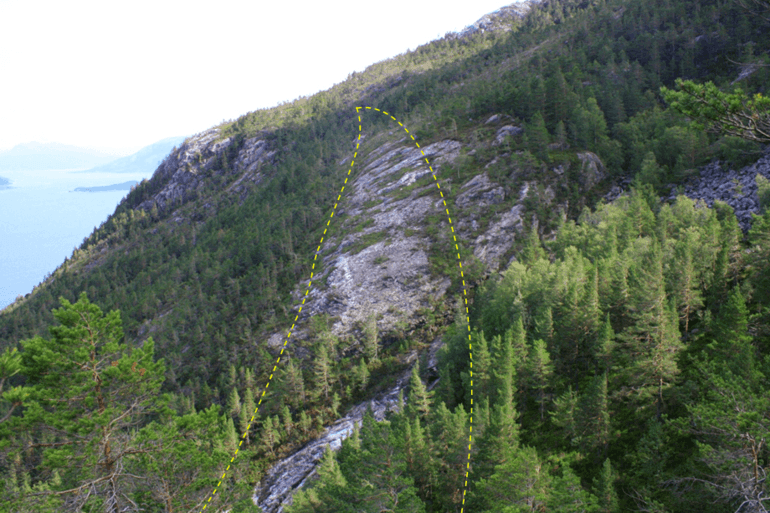 The Nesodden deposit consists of hydrothermal quartz situated in Proterozoic basement rocks south of the Hardanger Fault Zone. The quartz vein is about 600 meter long and on average 15 meters wide. A cross-cutting of the hillside shows that the deposit continues to at least 150 meters depth. The deposit is exposed on the surface and detailed mapping has been carried out. Approximate position of the North Eastern vein. The deposit has an attractive logistical location in a hilly terrain close to county road and adjacent to the sea. 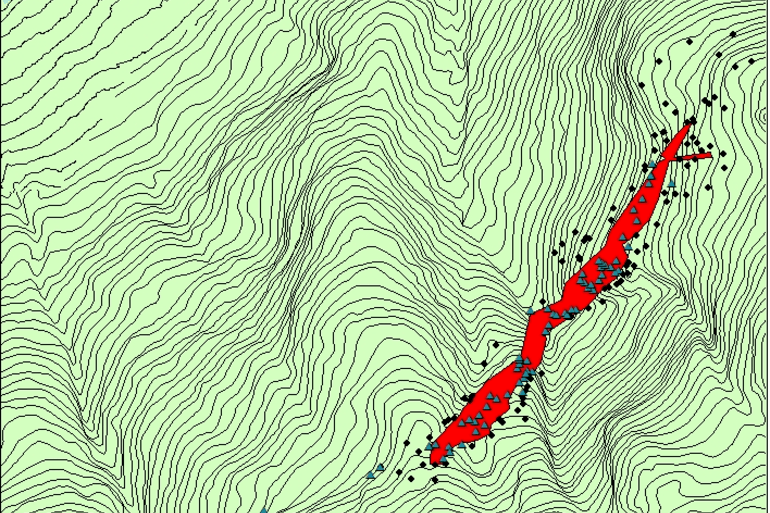 A magnetic survey gives confidence for a sizable quartz deposit stretching below the surface. A larger depth continuation than what is indicated by surface mapping seems to be present possibly to about 300 meters depth. The geophysics also indicates that the vein is wider in parts of the deposit that what can be seen at the surface. 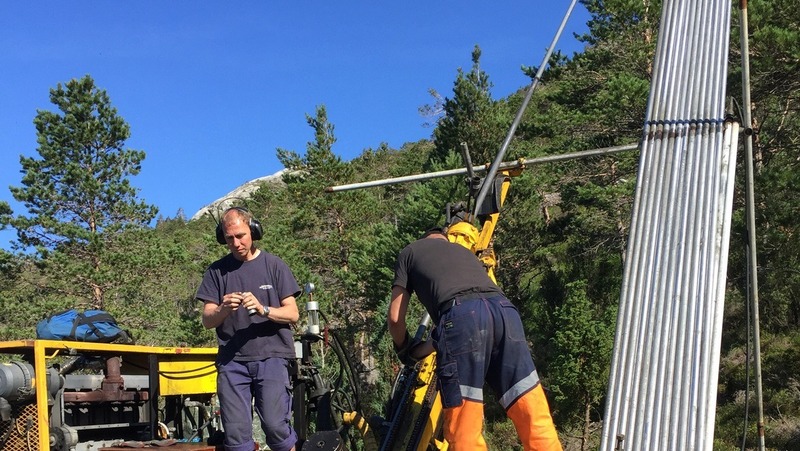 A full report from the magnetic survey is available on this link in right column. In 2015 a drilling program was carried out comprising 6 drill holes with a total length of approximately 630 meters. All drill holes intersected significant quartz zones with varying quartz content. A JORC compliant resource estimate confirms a resource of about 1.9 million tonnes of quartz in indicated, and 893 000 tonnes in the inferred category. Quartz is a raw material for a range of products depending on the level of purity. High-purity quartz (HPQ) is highest quality and best priced products used in high-tech industries such as for semiconductors, telecommunication, optics, electronics and for production of solar silicon. Nordic Mining has been carrying out a comprehensive analysis and test program at Dorfner Anzaplan’s laboratory in Germany. Dorfner ANZAPLAN, is an internationally accredited German laboratory with extensive experience on HPQ processing and analysis. The Quartz in Kvinnherad is of very high quality that can be processed to extremely pure quartz products. The processing involves various separation methods to remove contaminants, including mechanical separation and acid leaching techniques. Concentrates with a total level less than 15 ppm of impurities has been produced. The total level of alkalis (K, Na, Li) is reduced to 0.3 ppm. 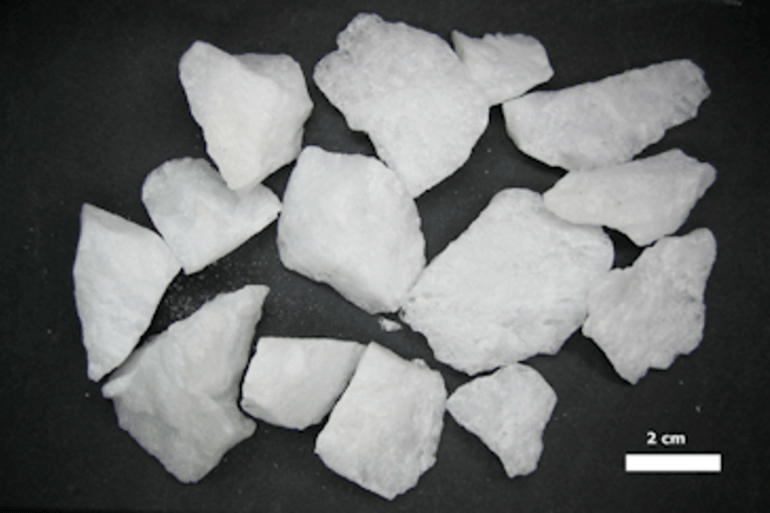 This is in the range of ”Iota 6” quartz product which is one of the highest grade products on the world market. Melting tests has also demonstrated that the bubble content in glass products are at an acceptable level. Specifications and the quality level for quartz products vary between different applications and producers. While unprocessed quartz from Nesodden seems to meet specifications for solar silicon production, it may be further processed to meet the requirements for high purity markets such as optical glass, lamp tubing, crucibles, semiconductors and microelectronics. Nordic Mining is working to established contact with industrial companies in different market segments and is aiming at testing the quartz for various applications.